Yr 2007 New Year Party in Pune at > Le Royale Residency Club. Passes are available at Residency Club. Passes include entry, unlimited food, 4 drinks per pass for a couple. Discount on Early booking and Group booking (home delivery of passes for group booking). Update - Passes sold out. 3, Queens Garden Rd, Pune. India. 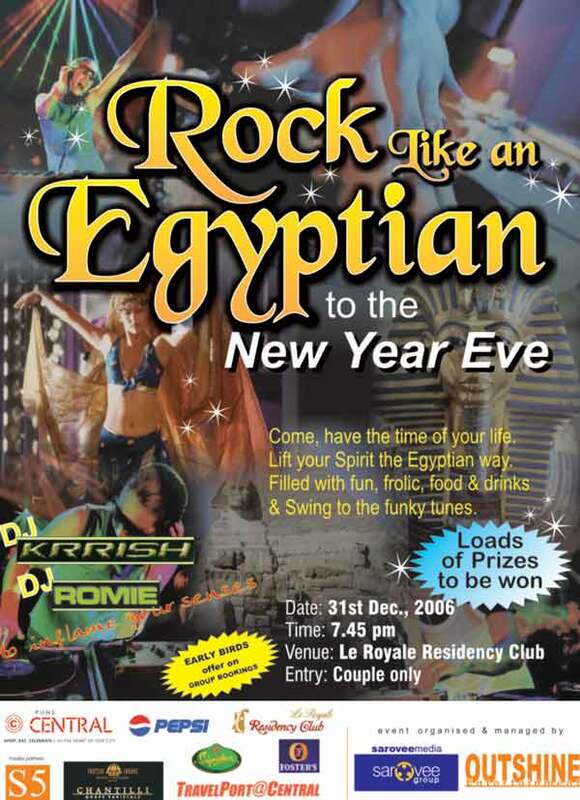 DJs for 2007 New Yr Eve Celebrations - DJ Krrish, DJ Romie & DJ Monty. Buy theme party suplies, themed birthday supplys and holloween costumes from online store on discount.